Texas police officers have arrested a man in connection to a suspected bomb threat that prompted The Roots to cancel their South by Southwest (SXSW) festival performance over the weekend. 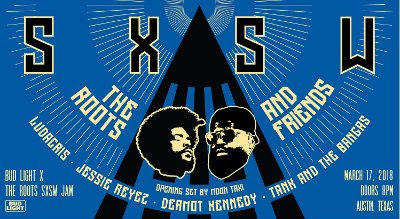 The Roots & Friends Jam was scheduled to take place on Saturday (March 17) at Fair Market in Austin, as part of the annual arts and culture festival. Other artists including Ludacris, Jessie Reyez, and Rapsody were also set to perform at the event, which was scrapped after organizers became aware of a "security concern".